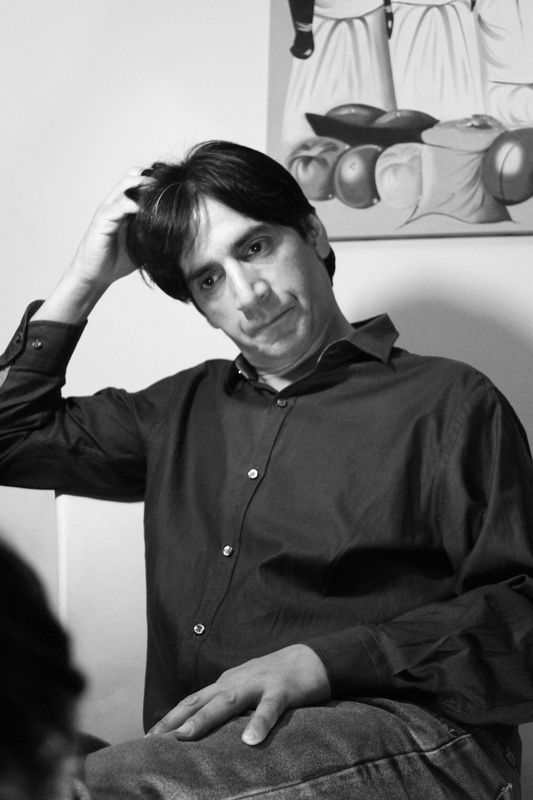 ÁLVARO HERNÁNDEZ is a performance artist, theater director, actor, playwright and professor. In his more than two decades of work he has participated and created pieces of street theater, physical theater, collaborative theater and other types of performances with artists and communities in Asia, Europe and Latin America. He has been the artistic director, playwright and dramaturg of Entropico Teatro since 2003, an interdisciplinary laboratory for the arts based in Colombia. He has been part of the International School of Theater Anthropology (ISTA) and has been an actor of productions directed by Eugenio Barba. He has studied traditional Japanese theater—Noh and Kabuki Buyo—in Japan. He has a master degree in Playwriting from the National University of Colombia and is currently completing his PhD in Performance Studies at the University of California, Davis in which he is researching in dramaturgies and dramaturgying, trainings, physical actions and bodily approaches, performance ecology, and violence and performance. Hernandez has collaborated continuously in artistic and research projects with indigenous communities of Amazon and the region of Putumayo in Colombia and has developed performances with Colombian communities involved in the armed conflict. He has received the Bunkacho Fellowship-Japan for international artists, and the Fulbright-Ministry of Culture scholarship for artists of Colombia, and has won the Colombian National Prize for Playwriting, the Prize for Best Young Director of Bogota, the Bogota’s Prize for Playwriting, and the Colombian National Prize of Theater Creation.